Ecobee3 Remote Sensors (2-pack) read the temperature in the rooms that matter most and deliver the right temperature in the right places. The more sensors you add, the smarter your ecobee3 performs, making your home even more comfortable. PROUDLY CANADIAN: Smart home technology created by Canadians, for Canadians. BETTER COMFORT: ecobee Room Sensors are the only wireless remote sensors that detect both occupancy AND temperature, giving you better control of your home's comfort. COMPATIBILE COMFORT: ecobee Room Sensors work with both the ecobee4 Smart Thermostat and ecobee3 lite Smart Thermostat. The optional wireless Single-zone CONNEX Controller can operate one or more LPC and PCH heaters, with a simple snap installation into a dicor-style wall plate. The built-in radio frequency transceiver eliminates the need to run wires. LPC and PCH heaters communicate through radio frequency to provide whole home comfort. Install one remote control for multiple units and maintain a precise temperature throughout your home. Or, use multiple controls to set desired temperatures in different rooms, saving energy costs with zonal heating. This manual thermostat provides simple control of your heating and cooling system. Just set the temperature you want, and adjust it up or down as desired. This unit features a bimetal temperature sensor and a snap-action magnetic switch. The thermostat is compatible with oil or gas heating and cooling systems to provide low-voltage control of heating equipment. This Honeywell Economy Only Manual Thermostat features a simple analog presentation that is easy to understand. The thermostat allows you to simply adjust the temperature by moving the lever up or down. The thermostat is compatible with 750 mV systems to provide low-voltage control of heating equipment. 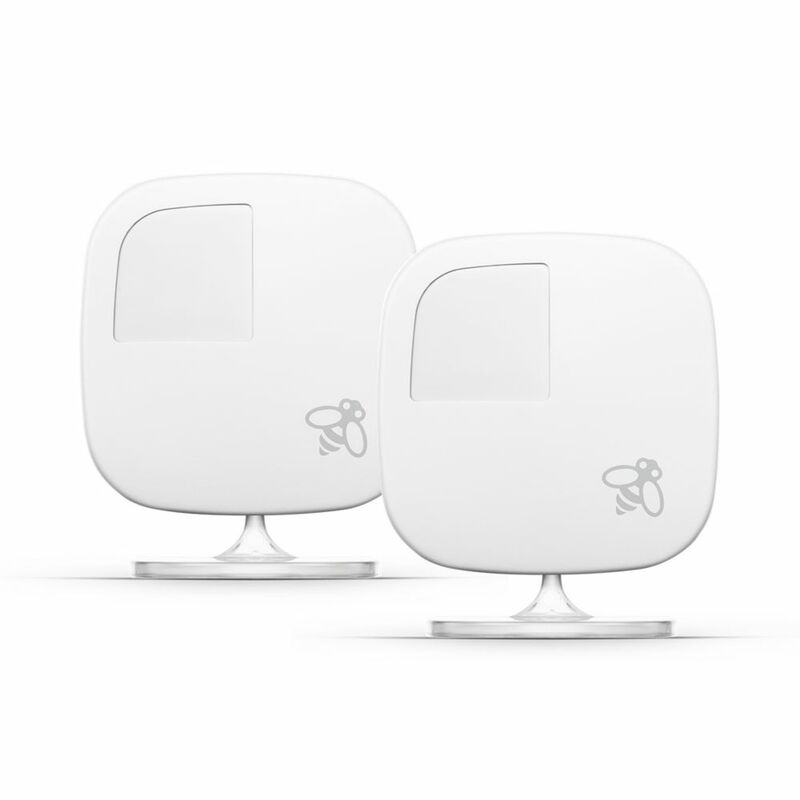 Room Sensor 2-pack for ecobee Smart Thermostats Ecobee3 Remote Sensors (2-pack) read the temperature in the rooms that matter most and deliver the right temperature in the right places. The more sensors you add, the smarter your ecobee3 performs, making your home even more comfortable. Room Sensor 2-pack for ecobee Smart Thermostats is rated 4.7 out of 5 by 92. Rated 5 out of 5 by Ecobee user from Great addition to the ecobee monitoring system Love the ability to monitor and coordinate the entire homes temp settings. Pay particular attention to the location of the monitor. Rated 5 out of 5 by ChangM from Excellent Excellent product, makes my daily use in the room more bearable, without needing to move much in my days of rest, at first it was a little difficult to get used to, but, with time I appreciate having this wonderful product. Rated 5 out of 5 by Cmurphy731 from Love having room sensors. I bought this during black friday to go along with my new home (first time buyer!). I got the ecobee4 with a sensor and an additional 2 sensors since the thermostat was placed in a hallway with no windows which seemed like the least ideal place, thanks builders. I love the fact that the thermostat controls to an average temperature of all the sensors and that you can adjust which sensors are controlled in which comfort setting. It also has room sensing and will set the thermostat to control to sensors that have sensed motion. One feature i'd love to see however, is the ability to select which sensors I want the thermostat to control to at anytime. Sometimes i dont want to use room sensing or preprograms i want to just choose which one, two or three sensors to use. Rated 5 out of 5 by Pieguuy from The reinvention of the t-stat This is why ecobee is great. These sensors allow you to completely change your HVAC system with very little money. Most T-stats are not placed properly in home and make the home suffer with warm or cold spots. They sensors have allowed people with "tune" their home with opening closing vent to get the desired comfort they need. In the past costly duct work or dampers needed to be added and wired to gain the same effect. All other smart tstat are just following the leader now. Rated 5 out of 5 by Rugrat from Sensors for every room I purchased two separate Ecobee thermostats and 3 additional (2 sensors in each pack) packs of sensors. I have sensors that can help control the temperature for different times of the day - e.g., keep the kids room warm at night. This has been the most important feature for me over the numerous other smart thermostats out there. Plus these sensors are small and cute and I rarely have to ever change the batteries. Rated 5 out of 5 by Ron1971 from Works better than expected. I was not entirely sure how these remotes would work with a single stage home furnace, but when you have multiple rooms you want to keep warm in a 2 story house the Ecobee thermostat works with the sensors to keep the rooms you have sensors in close the temperature as the main floor without exceeding the main floor temperature too high from its settings. Rated 5 out of 5 by Seifried1976 from Works well I was happy with the price and free shipping. These work well with my Ecobee 3. If you only have one furnace, how these sensors keep 2 rooms at temperature let alone 3+? The sensors are used to monitor various rooms in your home and can be set to included in different setting periods or all. So for instance, when your system goes to sleep mode, you may want to only make the bedroom sensors active for setting the furnace temp output. During the day you might set the living or family room sensors and the main as your temp averaging comfort settings. Away can be set for just the hallway or maybe the basement as well. All highly configurable in your settings. The real benefit is to sense temperatures in various rooms to give the thermostat a better sense of the furnace heat output. If your getting too much heat to one or more rooms it may mean you need to rebalance the duct outputs to those rooms. In the end it should help you fine tune your HVAC system to use less energy when using multiple sensors.